Without proper care and cleaning, the bacteria in your mouth can cause your gums to become inflamed and infected, also known as gum disease. Gum disease can be painless – you may not even know you have it. Without treatment, gum disease can lead to tooth loss. If you have bleeding gums, receding gums, persistent bad breath, or loose teeth, you may have gum disease (also called periodontal disease). 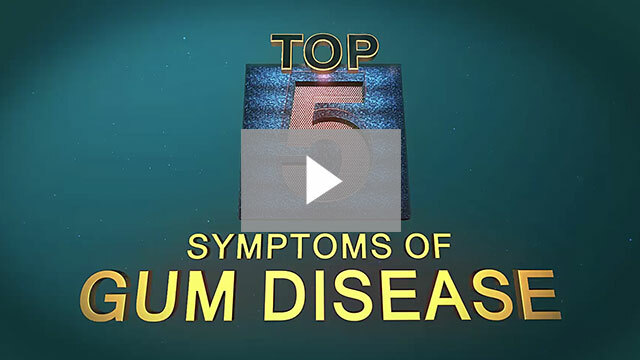 We recommend regular dental exams to check for gum disease. If you have gingivitis, a mild form of gum disease, then better brushing and flossing along with regular dental cleanings can likely restore your gum health. If gum disease has progressed, you may benefit from treatment with laser surgery. We can perform laser surgery for periodontal disease right in our office. After numbing the area, the hygienist will use a laser to precisely remove the inflamed gum tissue and scrape off plaque near the root of the tooth. Treatment with the laser stimulates blood flow to the area and causes a healing reaction. Laser surgery for gum disease is painless and can be done without a general anesthetic. Schedule a consultation to learn more about laser treatment for gum disease.